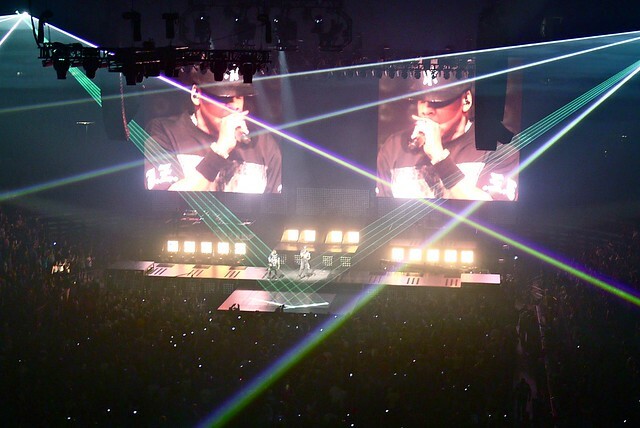 Watch the Throne tour with Jay-Z and Kanye West live in concert (second show) at Rogers Arena on December 18, 2011. Epic. 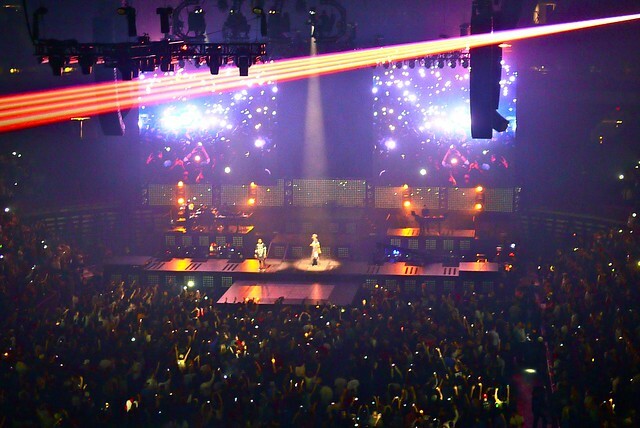 The show was epic. 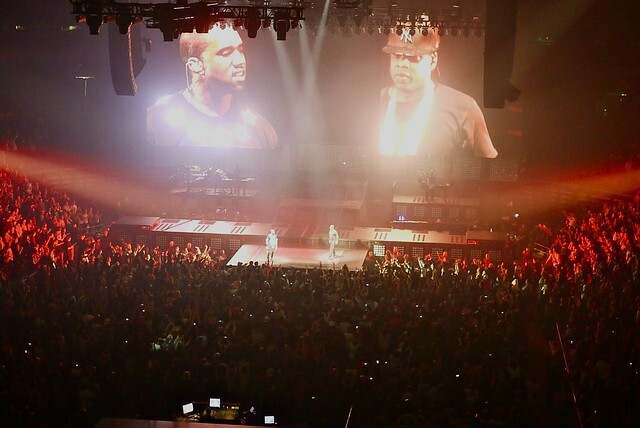 The very last show of the memorable collaboration between rap moguls Jay-Z and Kanye West was electrifying. 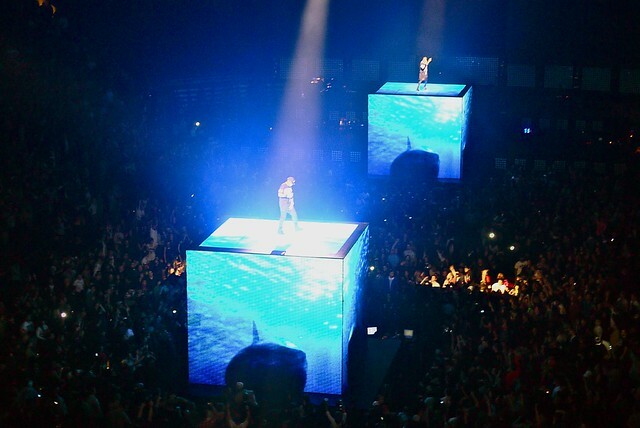 They played all their hits together and separate, mixing it up together on stage and on separate glowing, rising cubes. The show featured 40 or so songs without warning in a flash and bang, never stopping. 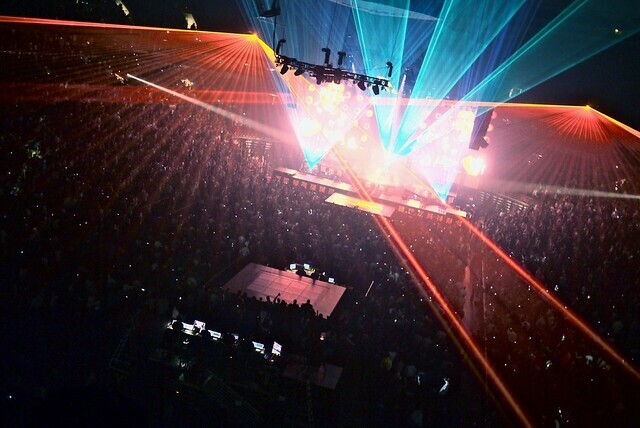 It rivalled my all-time recent arena concerts by U2 and Arcade Fire for their mesmerizing intensity. The fire, light, video, and pyrotechniques made the show, adding to the hype, mystique, and showmanship. The diverse crowd danced and hung onto to every word, eating it up. The duo's magnetism and sheer veracity energized the masses ten fold. They closed the show, hard to say since it took over a solid hour to do, in equally epic fashion with their patented close and encore (do you want more?). 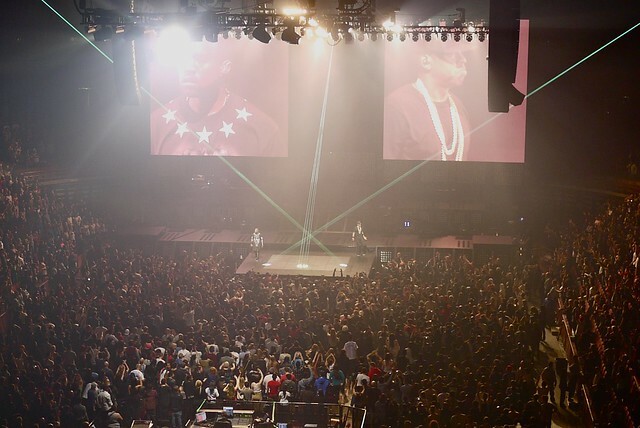 They blasted "N*ggas in Paris" a record tying ten times... Ten times! It never got old. Wow. What a show. What a night. 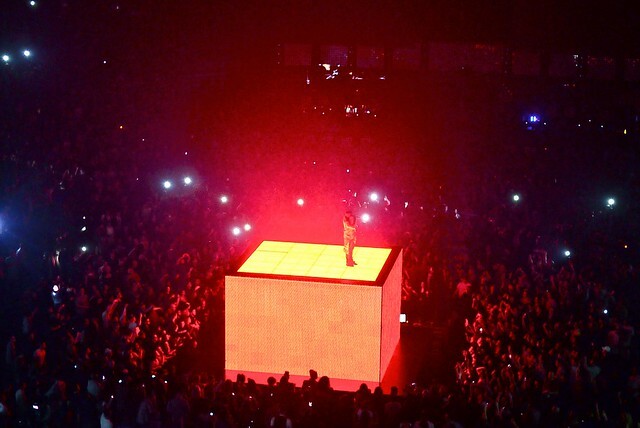 Hova and 'Ye lit it up.